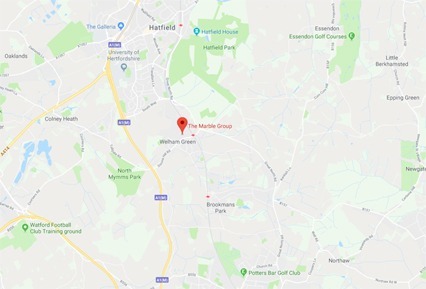 When trying to decide which material best suits your kitchen—granite, marble, laminate or quartz worktops—during remodelling, the task could prove to be too time-consuming and at some point difficult. The vast selection of worktop materials available in the market today also adds challenge to the already overwhelming task at hand. Your worktops should possess a unique style, coupled with a low-maintenance requirement and featuring extreme durability. Bearing in mind these 3 key elements could help you to completely narrow down your options to 2 major players: granite and quartz. Both such materials offer impressive solutions that meet all 3 ideal qualifications. Below is a major comparison between the two materials to help you match your needs with the available surfaces. 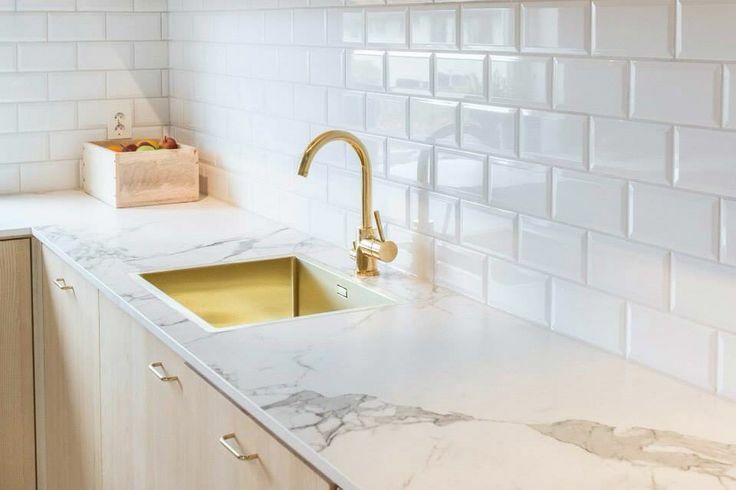 Fabricated from natural quartz—one of the hardest minerals on the planet—and a mixture of small amounts of metallic flecks or glass, quartz surfaces are engineered worktop materials that are stunning and hard-wearing. Quartz kitchen worktops are non-porous, meaning its surfaces doesn’t permit bacterial growth and resists stains, protecting you and your family and making it easy for everyday cleaning and upkeep. This reason alone is what makes quartz so appealing to homeowners, since in the long run, it becomes cost efficient because periodic re-sealing is not required. 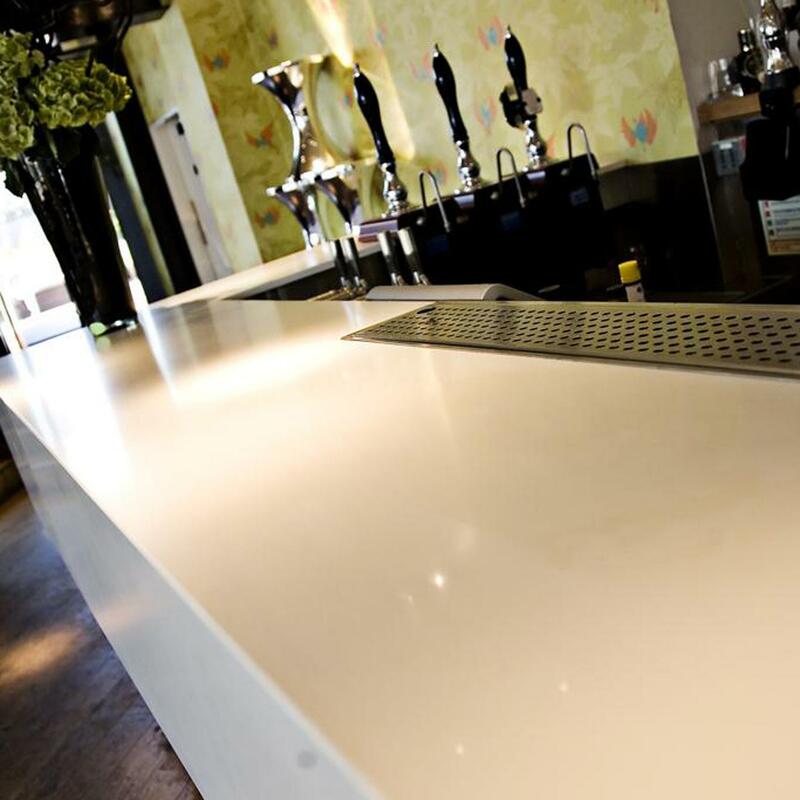 Other than being extremely durable, quartz surfaces also features a wide array of colours and design options that easily matches your existing kitchen design or theme. There are endless possibilities with quartz when it comes to colour choices, ranging from blacks, whites and browns to blues and gold. Not only does its design add character to your kitchen, but also it offers impressive performance advantages far exceeding other traditional materials. Granite has been around for ages as the leading kitchen worktop material. This natural stone surface is also very resilient. Granite is a natural rock that has been cut to a desired scale and then polished for household use. Manufacturers suggest upkeep is required after every use to prevent staining. 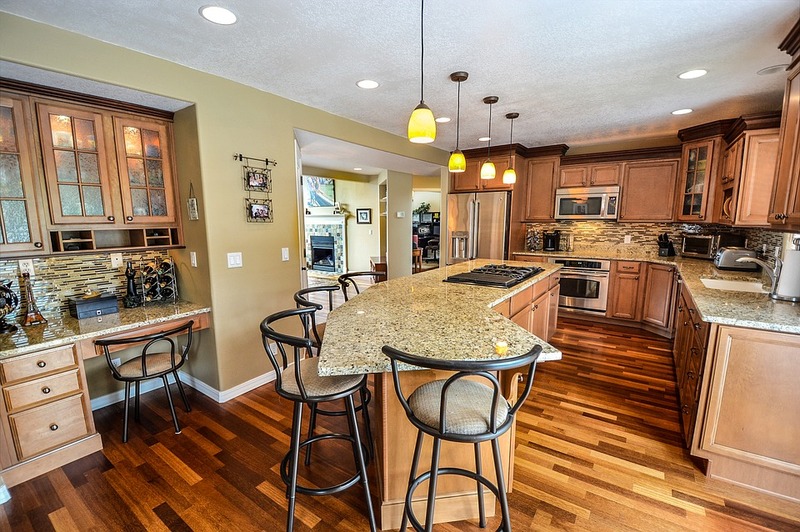 It is fairly difficult to scratch granite, and it can resist sudden temperature changes. Now, since granite is a natural stone mined from different quarries worldwide, colour and design options are very unique. This led many homeowners to plan ahead their kitchen styles based on their chosen slab. That being said, kitchen planning around granite worktops is no easy feat. But you are assured with an extremely one-of-a-kind natural worktop surface. 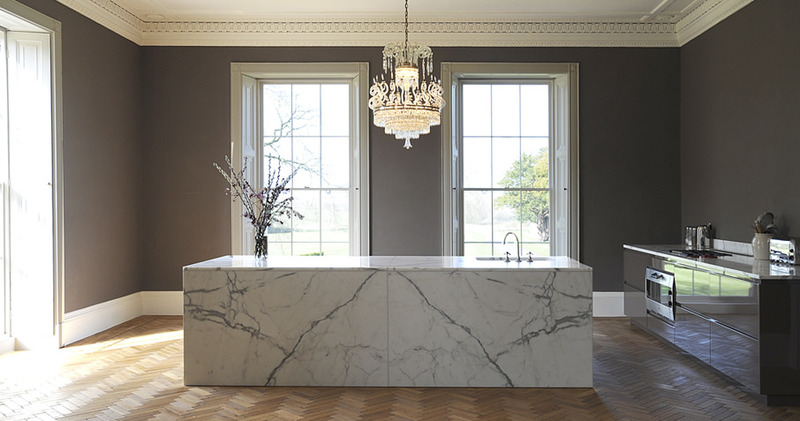 The debate whether quartz or granite is ideal for your home kitchen could be broken down into a number of large-picture questions you need to ask yourself. Other than the obvious price difference between these two surfaces, two variables exist, which you should take into account. The first variable would be whether you prefer a natural or man-made stone. Yes, there’s so much excitement in picking out colour variation and minor imperfections in natural stones. When it comes to uniqueness and the impossibility of replicating a surface, then granite definitely will not disappoint you in this area. The second variable involves ease of use in a number of factors. Quartz surfaces are sealed, hence non-porous. Since they are primarily made of quartz, they are more hard-wearing than granite. So if you’re primarily concerned of having a kitchen worktop that you can heavily use and just as easily clean and maintain, then quartz is the way to go. So there you have it, the basic difference between these two surfaces. Undoubtedly, you can go wrong with either granite or quartz worktops. These materials not only will bring life to your home but also provide their own unique advantages.